Laurel chooses Kurt Cobain because her sister, May, loved him. And he died young, just like May. 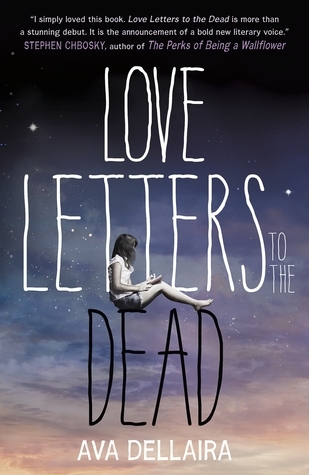 Soon, Laurel has a notebook full of letters to the dead—to people like Janis Joplin, Heath Ledger, Amelia Earhart, and Amy Winehouse—though she never gives a single one of them to her teacher. She writes about starting high school, navigating the choppy waters of new friendships, learning to live with her splintering family, falling in love for the first time, and, most important, trying to grieve for May. But how do you mourn for someone you haven’t forgiven? It’s not until Laurel has written the truth about what happened to herself that she can finally accept what happened to May. And only when Laurel has begun to see her sister as the person she was—lovely and amazing and deeply flawed—can she truly start to discover her own path. In a voice that’s as lyrical and as true as a favorite song, Ava Dellaira writes about one girl’s journey through life’s challenges with a haunting and often heartbreaking beauty.